In honor of my Grandfather Atanasio aka Grandpa Tony who was a topic of conversation today. He hardly looks grandfather-y in this photo! Wow, that’s a cool photo! 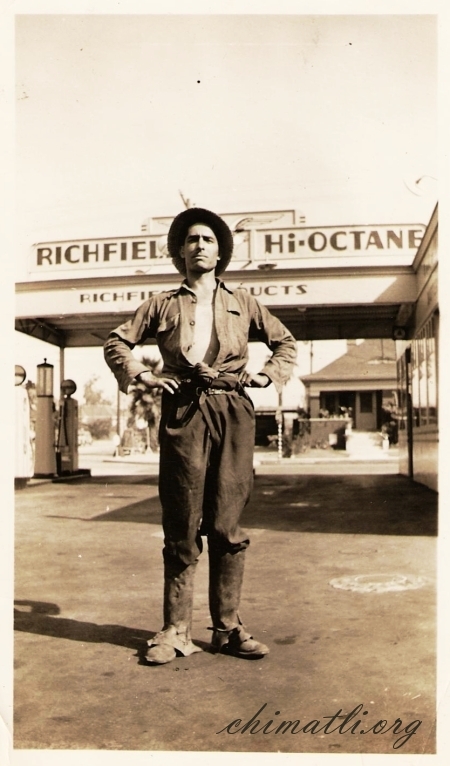 Chimatli, could the Richfield Station your Grandfather is standing in front of be the same one that was where Workman St and Pasadena Ave meet and form a triangle? If so I recall many years ago when a semi truck driven by a stoned drive went right through the Richfield Station and leveled it on night.